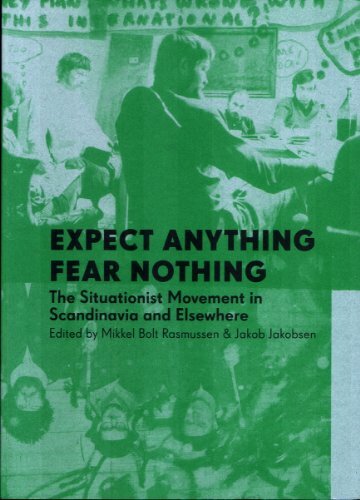 “This volume is the first English-language presentation of the Scandinavian Situationists and their role in the Situationist movement. The Situationist movement was an international movement of artists, writers and thinkers that in the 1950s and 1960s tried to revolutionize the world through rejecting bourgeois art and critiquing the post-World War Two capitalist consumer society. Contributors: Peter Laugesen, Carl Nørrested, Fabian Tompsett, Mikkel Bolt Rasmussen, Jacqueline de Jong, Gordon Fazakerley, Hardy Strid, Karen Kurczynski, Stewart Home, Jakob Jakobsen. Reviews: Kim West (Kunstkritikk, 2011), Lugo (2011). See also Bolt, Jakobsen (eds. ), Cosmonauts of the Future: Texts from the Situationist Movement in Scandinavia and Elsewhere, 2015.